Selling a used car in UAE might be a daunting process. There are many tips and tricks which you need to evaluate before Selling the used cars to the buyers. You need to find out the price of your car either on online websites or classified pages. However, the values might vary depending on the different versions of the similar car. 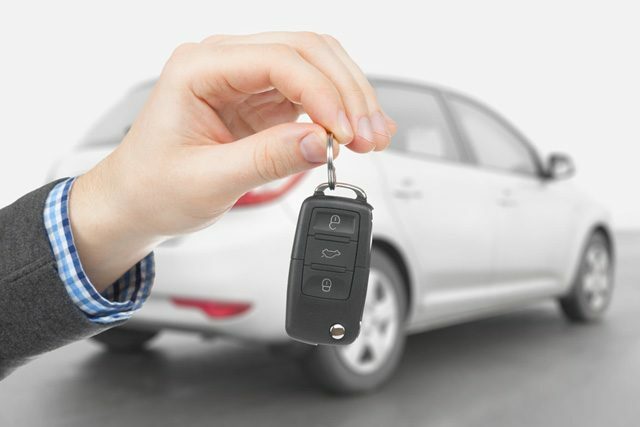 In UAE, you can make use of Sellanycar.com website for analyzing the online quotes for buying the car. So, how to find a buyer? You can post your ad online on the specific websites to search for the potential buyers. However, you will receive numerous calls Who want to bargain for the car price before inspecting it. Bear in mind that there are many individuals who want to inspect and test-drive your car before buying it so be careful about this long process. If you are unable to sell the care within a month, its value decreases by 2-3%. Another option to sell the used cars is to search for the dealer and trade it with a new car or sell it. If you are planning to sell your cars, it’s better to check the certificate of that dealer along with a proper license. It is very important because the dealers might be fraud or unlicensed resulting in payment issues. Expect low prices for used cars because it depends on various factors Like a model, condition, mileage of the car. According to the research, the value of the car drops with each Passing year. Consider negotiation on low margins with the buyers by keeping the actual price in mind instead of trying to sell it higher than the market values. Do your complete research regarding the price of your used car on online pages because the buyers do a complete search before buying any car from second- hand market. If the dealers have placed promotions on the specific model of your car then It does not indicate that you have to negotiate for the price with the buyer. You should try to explain to them the Specifics regarding your model and what was its true price. Buyers prefer buying on high prices if you have validity for your warranty, the condition of your car is excellent with service history. You need to service your car before your allow someone for a test drive or inspection, clean and polish it a bit to get a good price. Finally before Selling the used cars, you must-have complete registration process done from RTA where they transfer your title deed in the name of the buyer. Before doing this make sure you have paid the dues. It is advised to sign a certified purchase agreement with the buyer. One more thing which you need to consider before selling the used car is to make sure you get a liability letter regarding the outstanding loan from your bank. After you have sold the used car, take a copy of your ownership certificate to provide it the insurance company so that you can get any refund and acknowledge them about the changes in ownership. Remove your salik tag, number plates, and personal belongings before handing the car to the buyer. If you find all this to be a hassle, it’s better to visit the certified companies which take care of all the details regarding the car along with complete paperwork issues, bank loan clearance and offers you lift to your home.